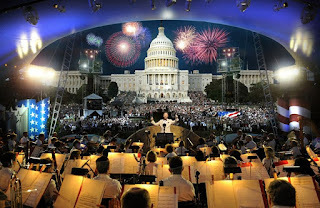 Live on Rhode Island PBS from the West Lawn of the U.S. Capitol, A Capitol Fourth - America's favorite Independence Day celebration - will feature unrivaled performances from some of the country's best-known musical artists, topped off by the greatest display of fireworks anywhere in the nation. 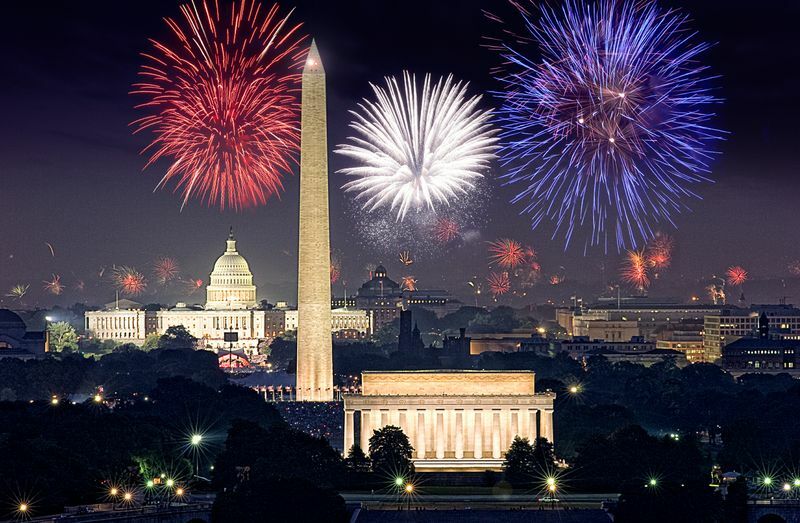 Twenty television cameras will be stationed around Washington, D.C. to capture the sights and sounds of the concert, making at-home viewers feel like they are front and center for the show on July 4 starting at 8 p.m. This year’s A Capitol Fourth on Rhode Island PBS welcomes back host Tom Bergeron, the two-time Emmy Award-winning television personality (Dancing With the Stars), and stars music legend Barry Manilow. Back by popular demand following his powerful debut performance on the show in 2009, Manilow will lead an all-star cast, including Candice Glover, the Season 12 winner of American Idol; country music artist and American Idol winner Scotty McCeery; actor and singer Darren Criss (Glee); musical prodigy and classical crossover star Jackie Evancho; Broadway and television star Megan Hilty (Smash); Broadway’s new hit Motown The Musical; and five-time Academy Award-winner John Williams conducting music from the Oscar-winning blockbuster Lincoln, with the National Symphony Orchestra under the direction of top pops conductor Jack Everly. 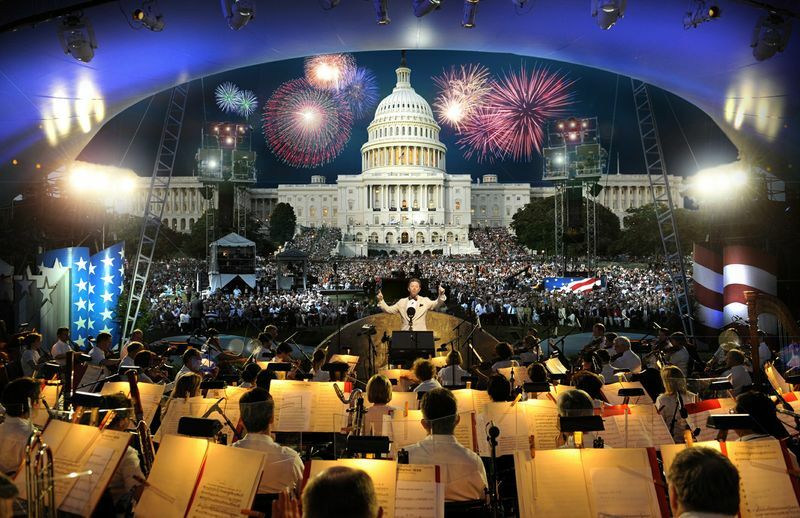 In celebration of America’s 237th birthday, the show will be capped off with a rousing rendition of Tchaikovsky’s 1812 Overture complete with live cannon fire provided by The United States Army Presidential Salute Battery, an audience favorite and now an A Capitol Fourth tradition. Also participating in the event will be The Choral Arts Society of Washington, along with The U.S. Army Herald Trumpets, The U.S. Army Ceremonial Band, Members of the Armed Forces carrying the State and Territorial flags and the Armed Forces Color Guard provided by the Military District of Washington, D.C.
A Capitol Fourth will be rebroadcast on Learn at 9:30 p.m. on the 4th, and then on Saturday, July 6 at 12:30 p.m. on Rhode Island PBS. The explosive special 3, 2, 1 FIREWORKS takes viewers on a behind-the-scenes tour of the Washington, D.C. July 4th celebration, featuring one of the largest and most colorful fireworks displays in the world. Shot in high-definition, the special captures every step of the renowned fireworks production. It opens in China as the crew observes the making of fireworks and dazzling new pyrotechnic effects. 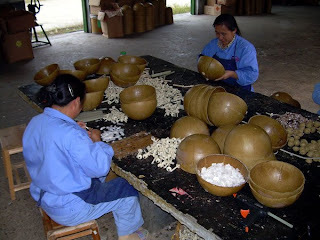 Once the fireworks are shipped to America, an army of technicians undertake the delicate and dangerous tasks of setting up thousands of explosives-filled mortar tubes in preparation for the spectacular display. The red, white, and blue lines in the middle of Hope Street are freshly repainted and the porches and doorways of the historic homes will soon be festooned with bunting, flags, and swags of stars and stripes. It’s the spirit of Bristol, Rhode Island, “America’s Most Patriotic Town,” and home of the longest running Independence Day celebration in the country. Rhode Island PBS film crew captured the behind-the-scenes preparations for the 2007 Fourth of July celebration, and traced the origins and evolution of more than 225 years of commemorative ceremonies and traditions. 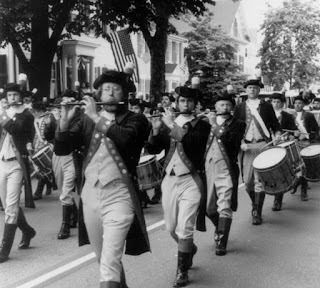 Bristol’s Fourth of July: A Celebration of History and Independence was produced by Bristol native Mary Lou Palumbo, and will air on Thursday, July 4 at 7 p.m., and on Saturday, July 6 at 7 p.m. and Sunday, July 8 at 11 p.m., as part of the ongoing Rhode Island PBS series, Rhode Island Stories. 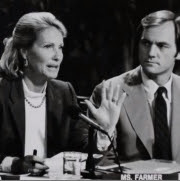 Vintage photos and archival film take viewers back in time to witness some of the early observances. The documentary also explores the origins of the patriotic exercises, the historic parade, the Miss Fourth of July pageant, and other key events and ceremonies, and why the tradition is still going strong more than two and a quarter centuries later.